If you are on the lookout for a new mousepad, look no further! We are taking a look at the 2nd edition of the popular IceMat, which is made of pure glass for an ultra smooth glide. It may be pricey, but it a hard mousepad to compete with. We all have a certain sense of pride. We enjoy one thing or another. Some people are really into cars and take immense pride in the car or truck that they drive. Others are infatuated with work and are happy to collect any praise that is offered when it concerns their job. If you are reading this review, I am assuming that you take great pride in your PC. Whether you are into a PC’s performance, the way it looks… or both, times are good for us all. It seems that there is a new company starting up every other week offering the next great accessory to set your computer apart from the rest of the pack. Today I am pleased to give the new IceMat 2nd edition mouse pad a good looking over. With today’s mice, a pad isn’t exactly necessary. Any optical mouse can pick up movement on most all surfaces minus glass and extremely glossy finishes. I have always just used my desk as a surface until the varnish began to wear off and I plopped down a cloth pad that I received with some software. This offered a little better mouse movement but ultimately, it saved my desk. Upon receiving the IceMat, I was surprised at the sheer size of the beast. The dimensions are 10 x 12 inches. This, my friends, is a pretty large surface area for my Razer Copperhead. The entire surface is made out of glass which provides an extremely slick surface for my mouse to move to and fro. Included in the package are Teflon stickers to affix to the bottom of your mouse and that is exactly what I did. Once the Teflon pads were on my mouse, the ease of movement was incredible. The mouse is actually moved by the weight of its own cord. That is a true testament to the high quality surface that IceMat has given the pad. When gaming, I notice a slight difference between the accuracy the IceMat’s surface provides and what the desktop surface provided. The big difference to me is the ease of movement. With an MSRP of $47.50 US, this item certainly isn’t cheap. If I had not had the opportunity to review this pad, the price alone would have deterred me from ever even trying this out. I have found this at NewEgg for $38.00 US and while this is a bit cheaper than the MSRP, it is still a bit steep. I now know the quality of this mouse pad and if I had to purchase another pad down the line, I know exactly which company I am going to give my money to. As said earlier, the price might be something that most people will have a hard time swallowing but after using this pad for a few weeks, I cannot tell you how happy I am with this product. IceMat really has outdone themselves. If anyone can make a mouse pad worth 40 dollars, it is them. 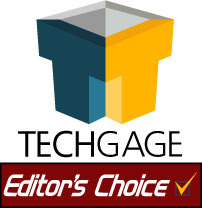 I am giving this a solid 9 out of 10 on the Techgage-O-Meter. Many thanks to IceMat, Soft Trading ApS and Danny N. Ramkvist for allowing me to review this product. Keep up the good work and I eagerly await your next anticipated release. If you wish to discuss this review, please feel free to hit up our forums! You do not need to register in order to post in our content related threads.